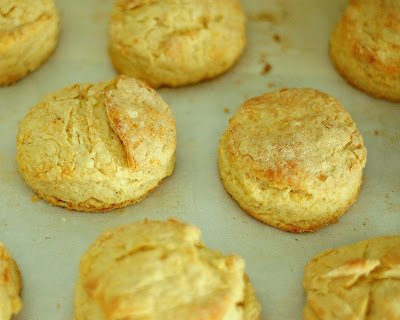 My childhood Sunday dinners would often include buttermilk biscuits slathered with butter and drizzled with golden honey. 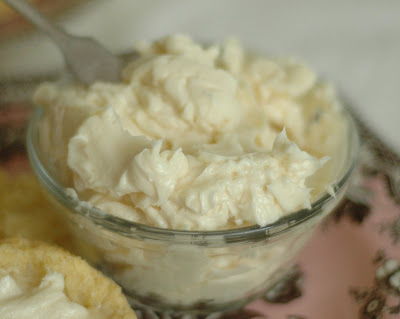 The recipe we used most was one from Land O Lakes fell by the wayside until a few weeks ago when I decided to make them again. There is something wonderful about them. Comforting and inviting. 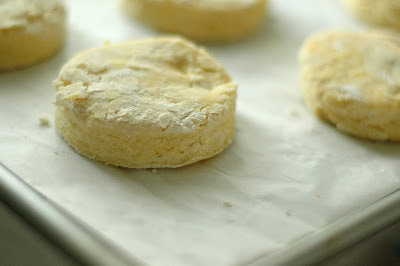 I offer this as a 101 because I know that making homemade biscuits is not something everyone does these days when you can buy a tube from Pillsbury in the refrigerator section at the grocery store. Heat oven to 425 degrees F (220 degrees C). 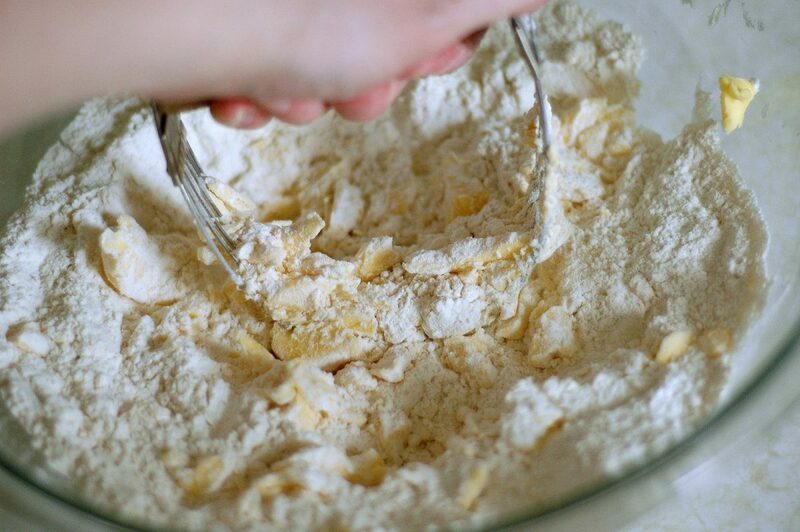 In large bowl combine flour, baking powder and salt. Cut in shortening until crumbly. 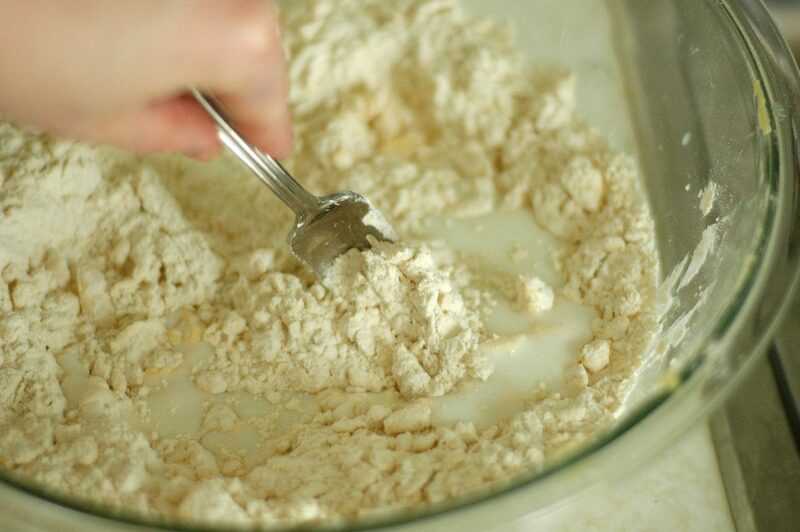 Stir in buttermilk just until moistened.Turn dough onto lightly floured surface; knead until smooth (1 min.). Roll out dough to 3/4-inch (2 cm) thickness. 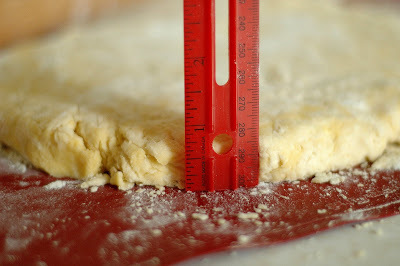 Cut into 8 (2-inch or 5 cm) biscuits; place 1-inch apart on cookie sheet. Bake for 10 to 14 minutes or until lightly browned. 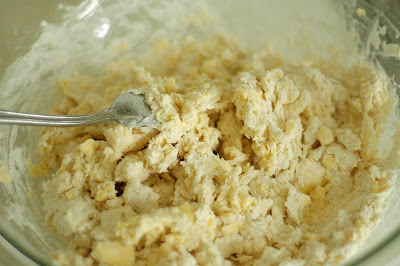 Beat butter for a few minutes with an electric mixer. Add honey in a slow stream. Add vanilla. Beat for 5 minutes until light and fluffy. Store in the fridge. Makes about 1 cup. “Cutting” the fat into the flour means that you are breaking the fat into smaller pieces and coating them with flour. 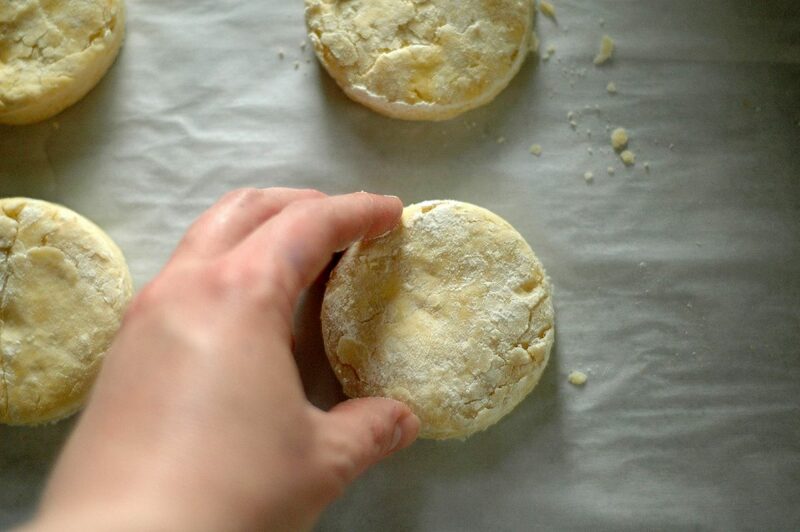 This makes for a tender, flaky biscuit (or pie crust) because during baking, the fat and water molecules in the butter or shortening will melt and the water will escape as steam, creating pockets of air–hence a flaky texture. 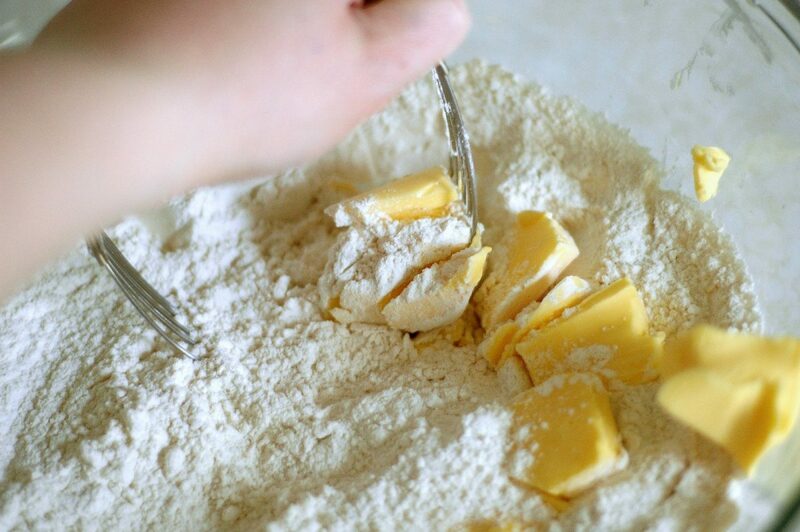 You want to avoid complete mixing of the flour and shortening. Possible tools for cutting shortening in– pastry blenders, food processors, your hands, or two knives held parallel to each other. 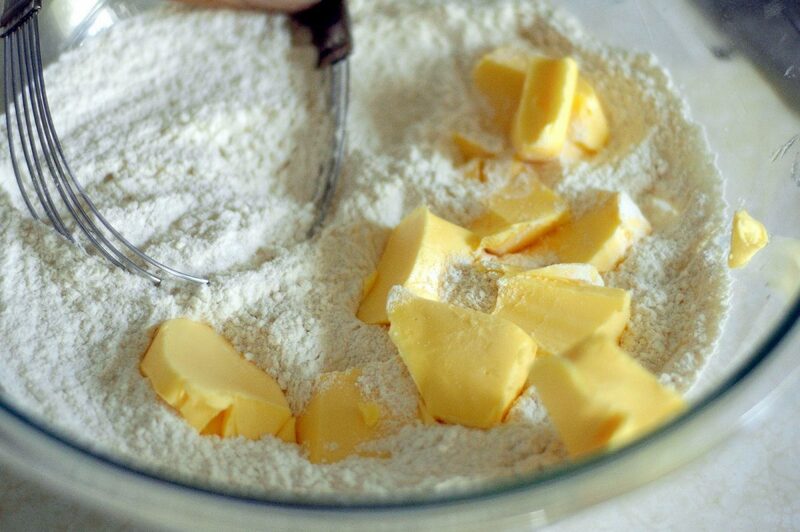 For these biscuits, I prefer a pastry blender because the shortening is soft. When I use ice cold butter, I like to use my hands–a personal preference because I like to feel the flour and butter between my fingers. For a much faster way–use a food processor and pulse until the mixture is crumbly. I don’t recommend this method for shortening, unless you freeze it. Food processors work better with cold butter. Also, before adding the liquid, you want to place the flour/butter mixture in a separate bowl. Add the liquid to the food processor will give you over-mixed dough–i.e. tough dougn. Food processors have powerful motors and so it’s easy to over do it. You want the shortening to be in small lumps with a few larger lumps scattered here and there. Stir in buttermilk just until moistened. 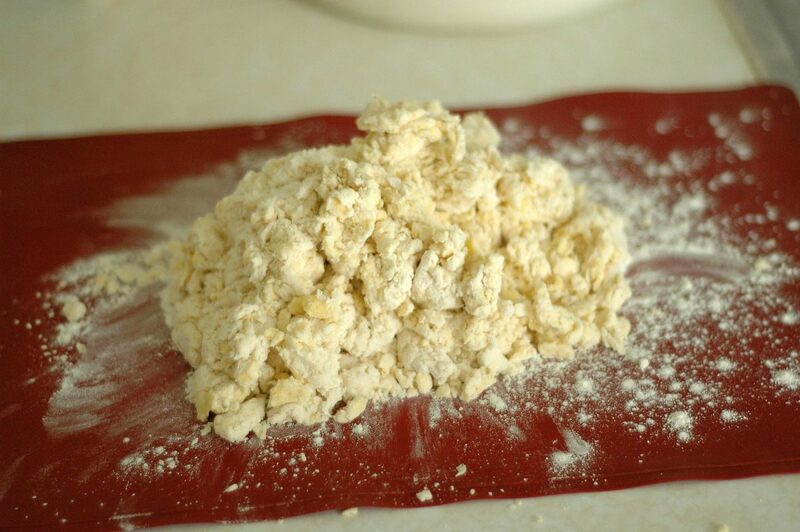 I like to make a well in the center of my dry ingredients and draw the dry ingredients into the center a little at a time as I stir with a fork. 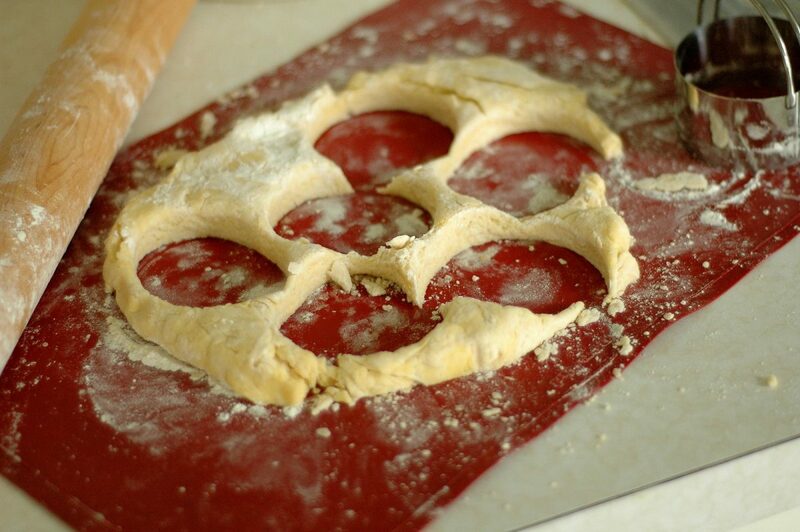 You really don’t want to over mix the dough. It will become tough. 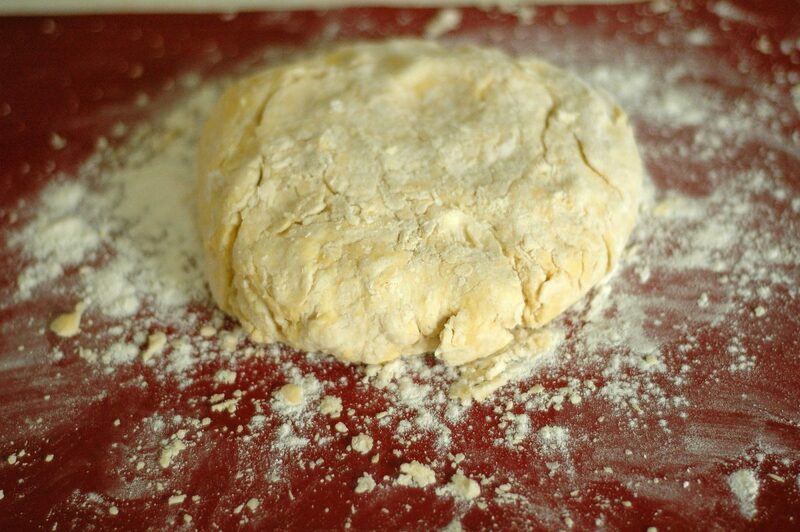 The key to flaky biscuits is working the dough as little as possible. 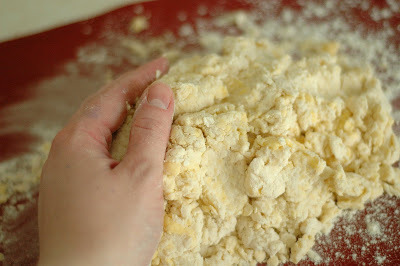 I like to just barely push the dough together by hand and then I will knead it gently–just to make sure there aren’t large portions of unincorporated flour. Roll out dough to 3/4-inch (2 cm) thickness. 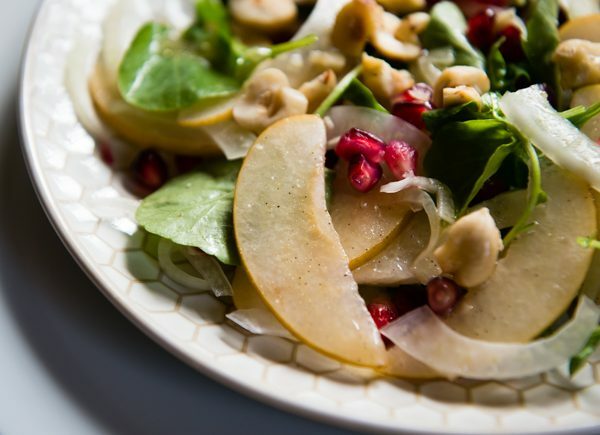 You can easily flavor these with chopped herbs or grated cheese. 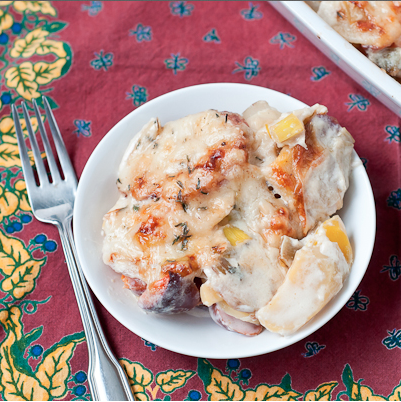 They are great with soups or anything with gravy involved, but are best the day they are baked. If you have leftover biscuits, store them in an airtight container. 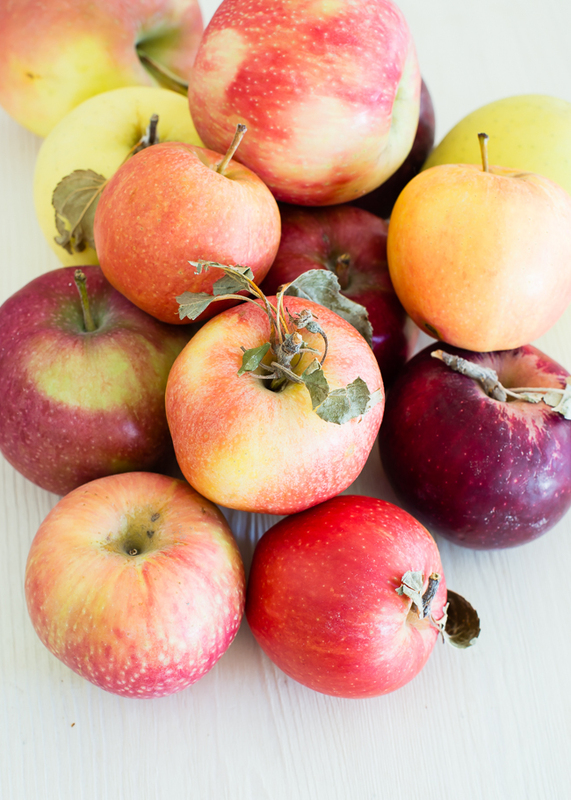 To reheat, either place in a warm oven for a few minutes, or microwave for 10 seconds. To make ahead, follow recipe up until adding the buttermilk. Store in the fridge until ready to use. Those look incredibly yummy! You sold me on the book. I just bought it from Amazon, used. I can’t wait for it to get here! Lindsey, I have never made biscuits, can you believe it? Is that a silicone mat (the red one?) you’re using when you pat out the dough? Dough sticking to the counter is the bane of my existence (I guess if that’s the worst thing in my life, I’m OK). Have a great weekend, Lindsey! 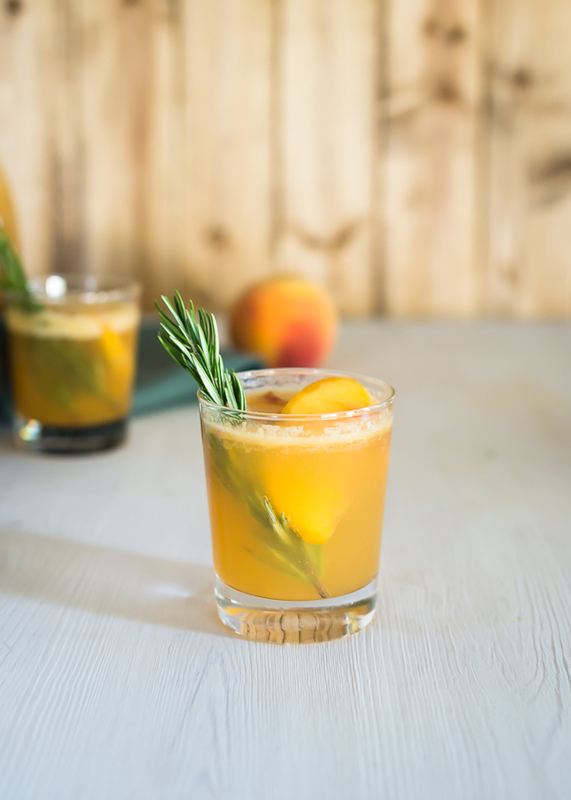 I still love making these – I’m sure yours are better, but they’re still pretty darn good! 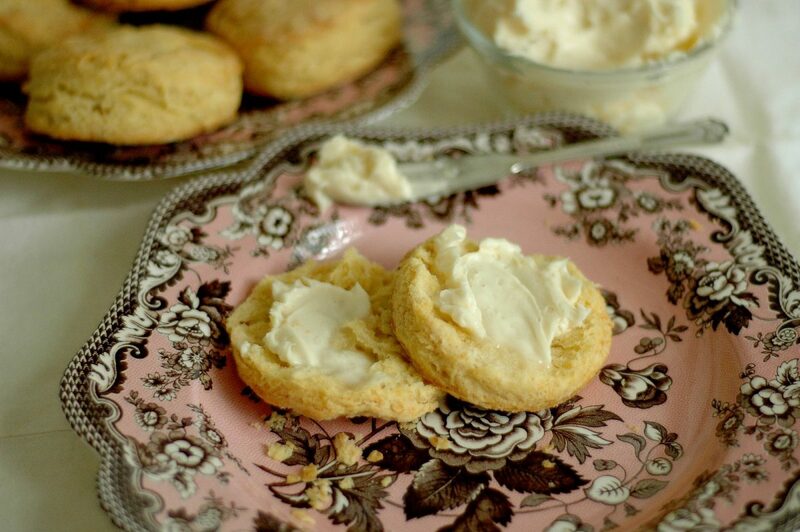 bump the biscuits (i’m on a carb-free plan)– i want that plate!! LOL! both look amazing. some mango butter or jelly!? yum! I love all of your great step by step photos, I never have the patience for it, but it’s so nice to see! Your biscuits look beautiful! seriously… my mouth is watering. 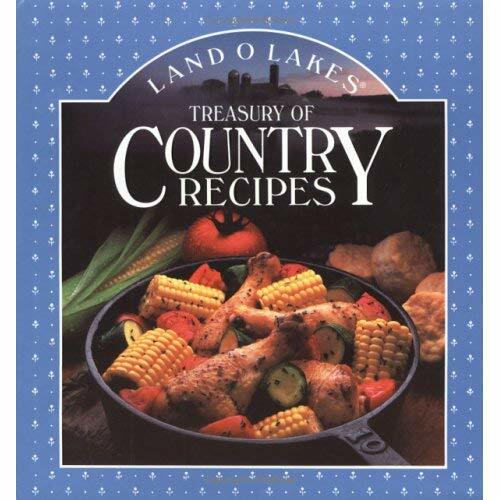 now can you just find a yummy, but not too difficult (as in not too time consuming) recipe for chicken and biscuits? OK, so I am trying these tomorrow. I have not had the greatest luck with biscuits, but you have given me the courage to try again. I know the honey butter will turn out! I may have to fly you here for a weekend of cooking and baking round the clock…. Buttermilk biscuits and honey butter sound so good right now… yummy! Aren’t you the greatest!! 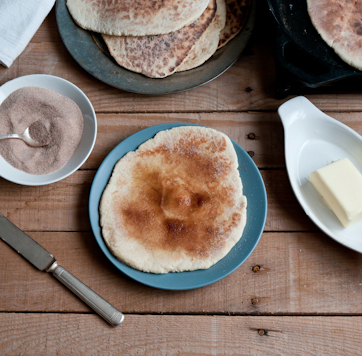 I stink at biscuts, and it is one of my goals this year–to learn how to make them. I have to hang my head in shame as a southern girl…. Could I sneak in some whole wheat flour into these? 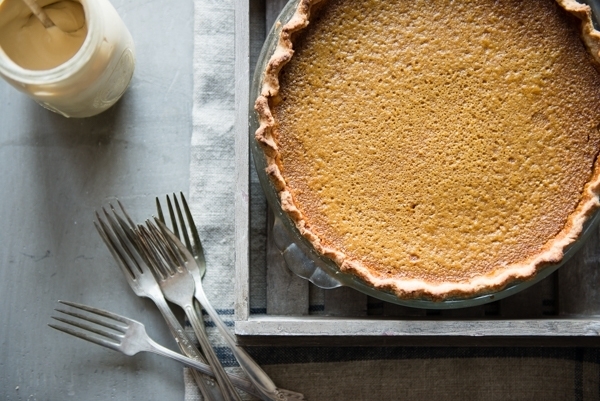 You can replace 1 cup of the all-purpose flour with whole wheat. And also, I’ve made them with 1 cup of cornmeal, too. I’ve been making a lot of biscuits lately and freezing them. The last batch was cheddar and scallion. I prefer the flavor of chives, so I’ll have to try this recipe! 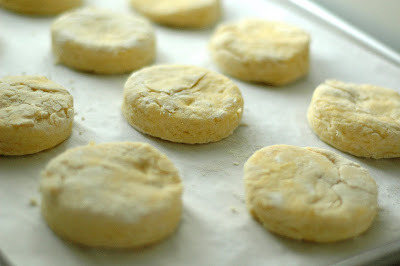 I´ve never made biscuits, I´m from Spain and here biscuits are totally unknown.But I want to learn and discover the flavor! I miss the pictures of your step by step. Is there anything wrong with my browser or are they missing? Would love to see them! I have no idea what has happened to the pictures! I’ve spent a couple of weeks trying to figure it out. I think I just need to repost them. Stay tuned–I’ll get them up next week. Thank you bunches for taking the time to put the pictures again! They look so yummy! 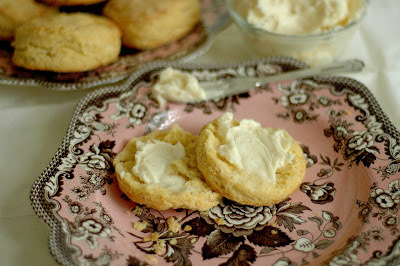 Will let you know if I get to make biscuits.Lovely site will pop in often! Glad I could help, Lilah! Good luck with the biscuits!